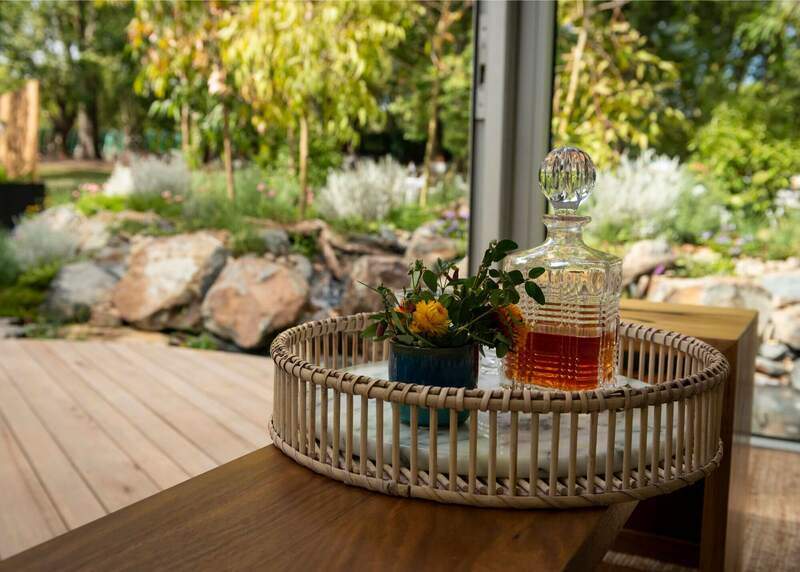 Studio in the "Urban Retreat" Photography by Viv Scarpari. Looking across the garden to the studio. 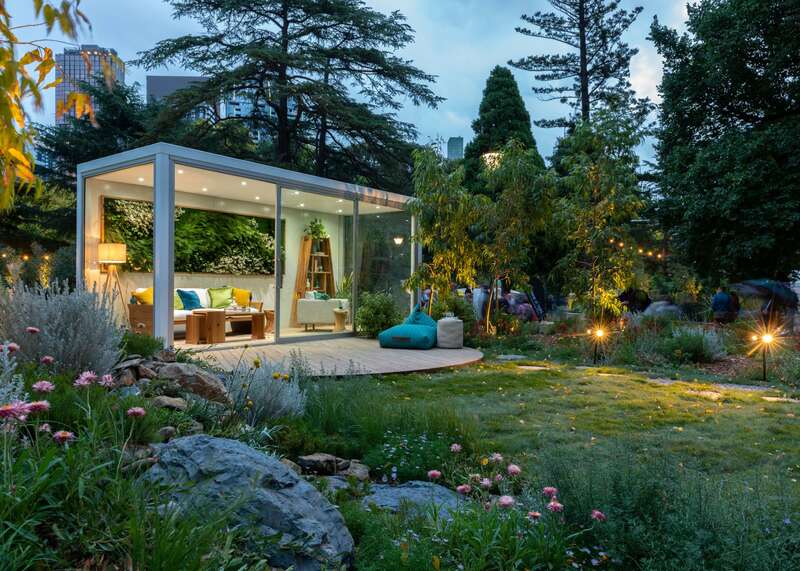 "Urban Retreat" studio in twilight. 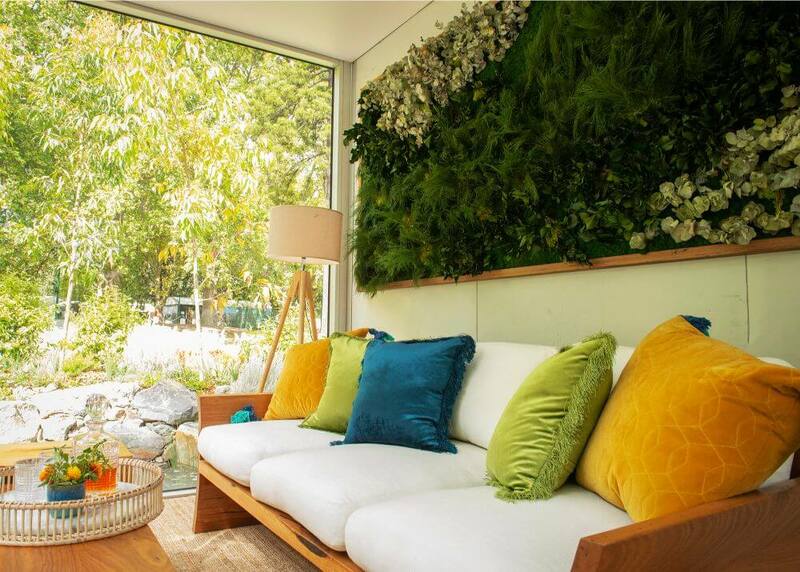 The studio in the "Urban Retreat"
A detail of the vertical green wall and sofa. Photography by Viv Scarpari. The bookshelf balanced the armchair and sofa. Twilight in the ''Urban Retreat" Photography by Viv Scarpari. Textures aplenty. Photography by Viv Scarpari. 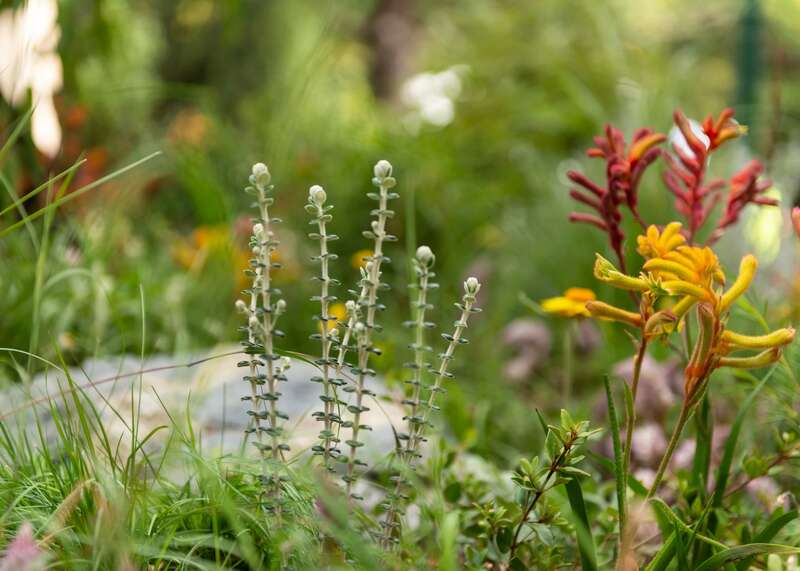 Native plants and wildflowers. Photography by Viv Scarpari. Ben Hutchinson from Ben Hutchinson Landscapes in the studio. Photography by Viv Scarpari. 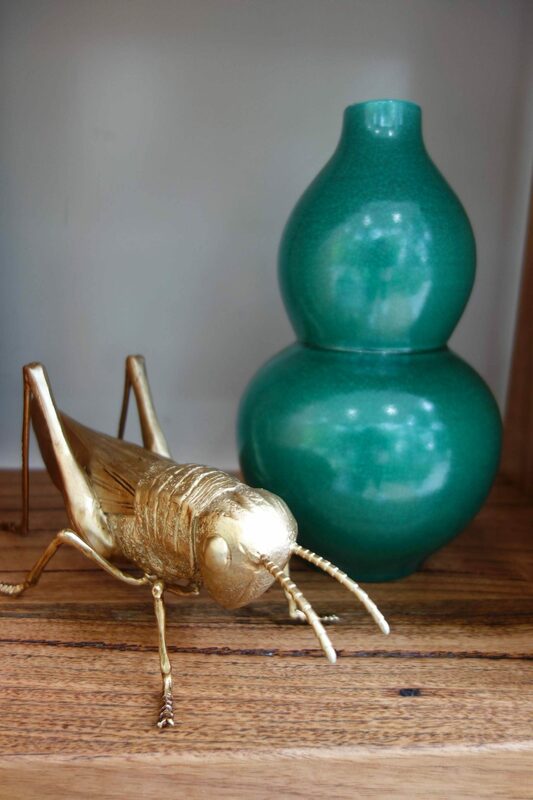 Bringing the outdoor in with a little glamour in the form of a golden grasshopper. 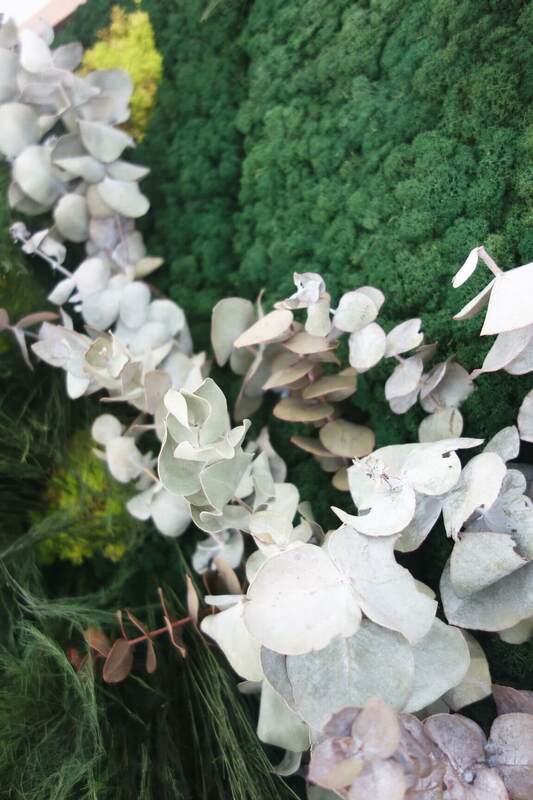 A close up the preserved green wall by Stem and Stamen. 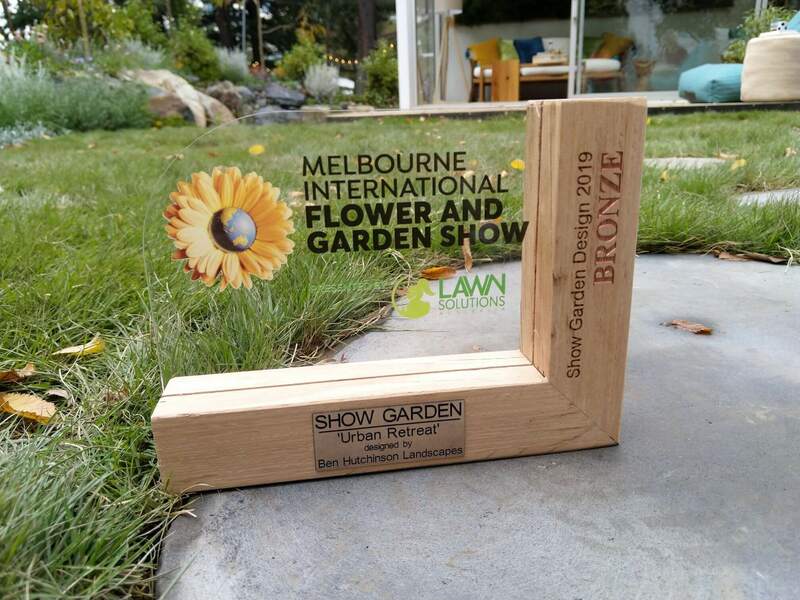 The bronze award we won for the garden and studio. Wicker, marble, crystal...luxurious materials in the "Urban Retreat" Photography by Viv Scarpari. 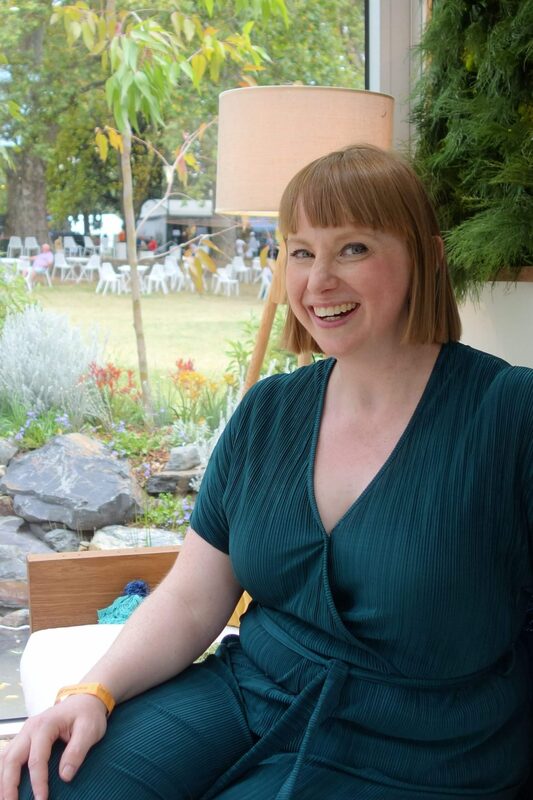 Here's me, Alison Leeder in the urban retreat studio. 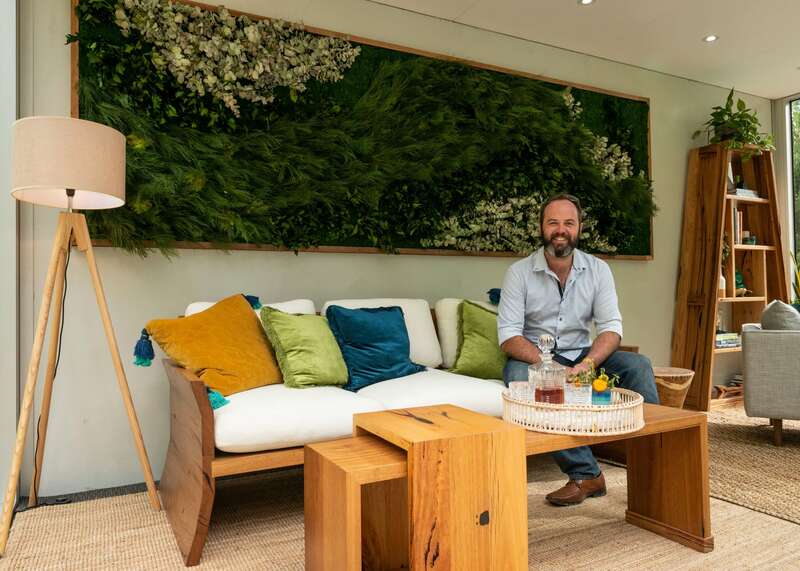 I recently had the pleasure of styling a unique interior space at the Melbourne International Flower and Garden Show. 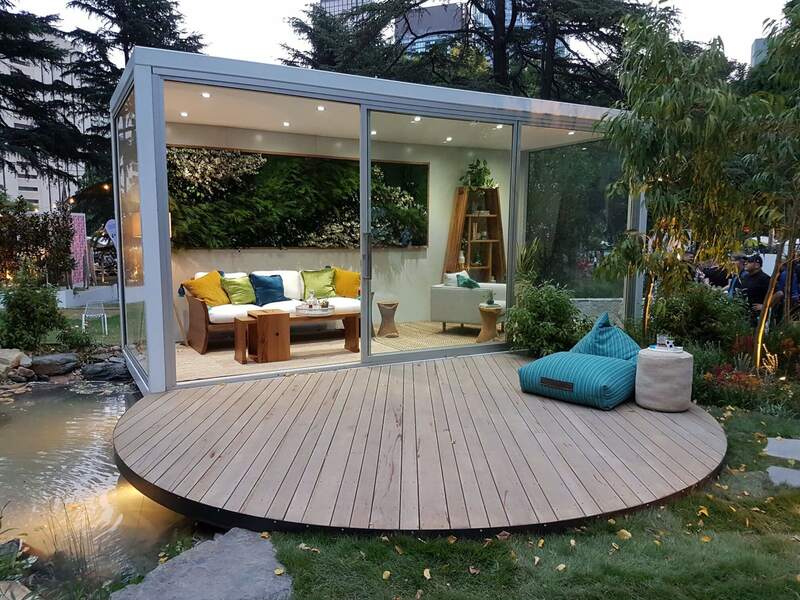 I was approached by Ben Hutchinson Landscapes to help bring their “Urban Retreat” to reality. 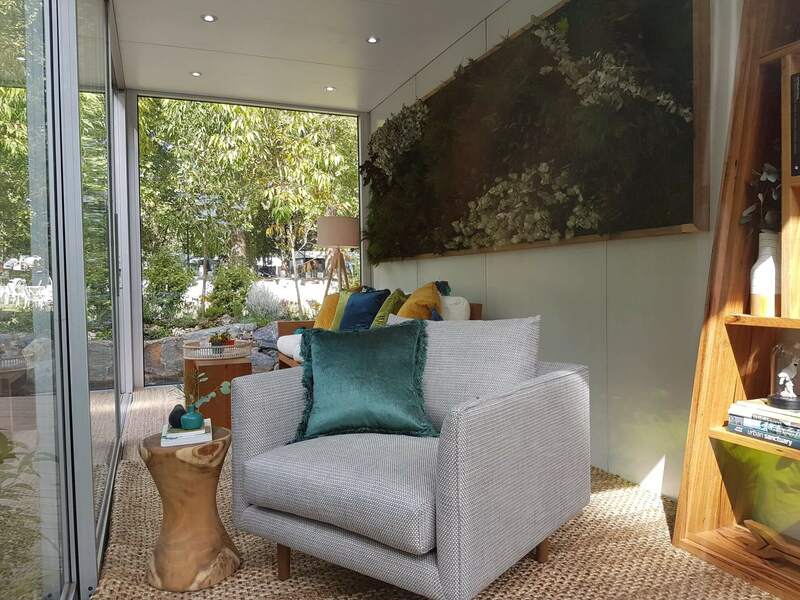 The garden and outdoor studio are designed for those who want to break away from the distractions of our busy technology focused lives and escape to their own urban retreat. The garden itself has a pond and waterfall surrounded by a wildflower meadow. 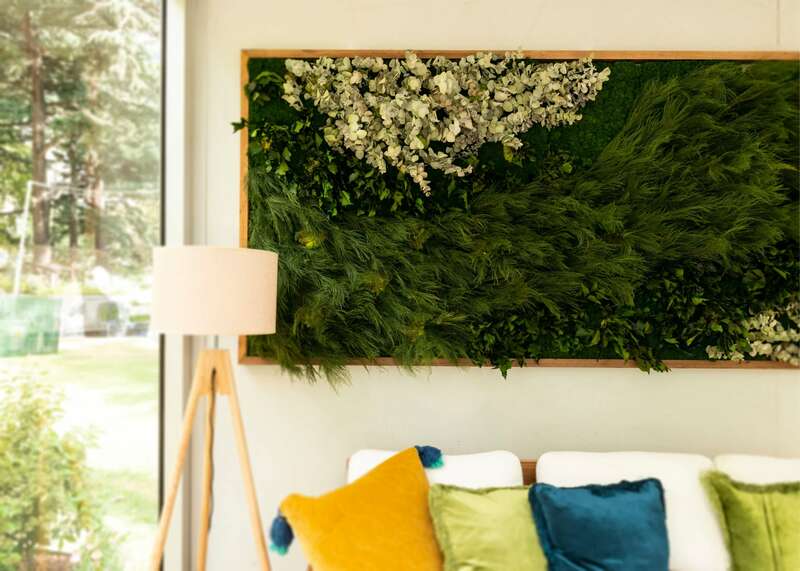 The studio is an extension of the garden with an expansive vertical garden (supplied by www.stemandstamen.com.au) creating a lush, green backdrop. 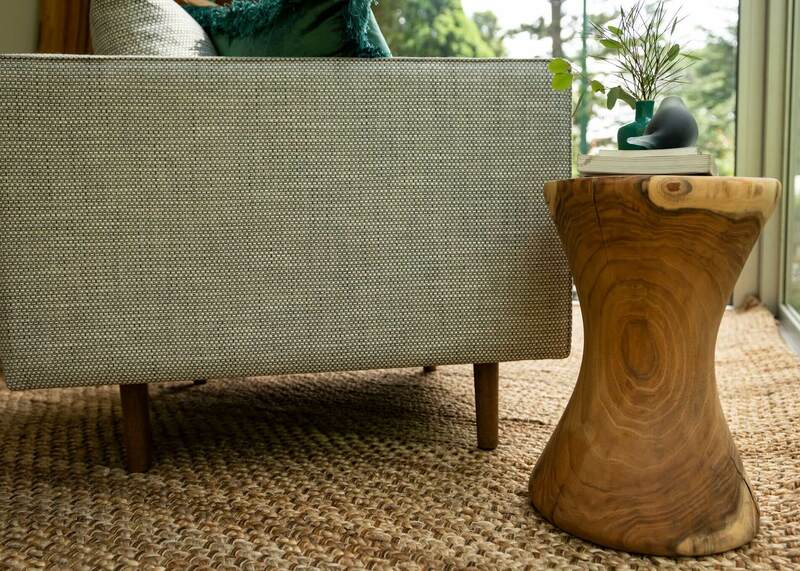 Timber and natural textures are dominant in the styling, creating a restful space. 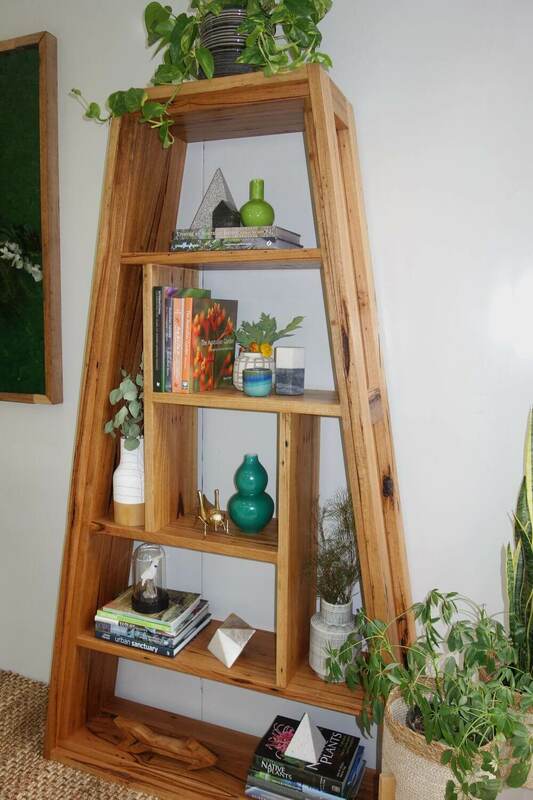 The timber sofa and shelving unit are made using reclaimed timbers in keeping with the reclaimed timber deck outside. We were the very proud recipients of the bronze award for the garden and studio.